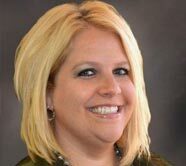 Erin Baxter is the Chief Operating Officer of Texas Media Group and serves as the Editor-in-Chief for Heart of Texas Magazine. 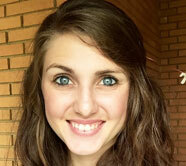 Erin hails from West Texas and is a proud graduate of Texas Tech University. 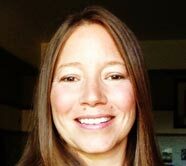 She has written for numerous publications, including West Texas TravelHost and recently owned her own freelance writing and editing business. She has also served as the Managing Editor of Lubbock Metro Leader, a monthly micro-newspaper publication. Erin’s passions include media writ large, editing, helping others refine their skills, and keeping the wheels of the company in constant motion. She loves poetry, and writes and reads poetry in her spare time. Erin can be reached via email at Texas Media Group. Anna Hedges was born and raised in the South Plains. She spent most of her childhood throwing dirt clods and haunting the local library. 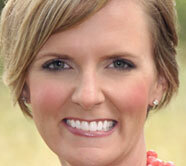 When she grew up, she moved to Lubbock and worked in coffee shops. She is currently attending Texas Tech University for Journalism (sometimes) and works in a bar to help support her husband and numerous cats. 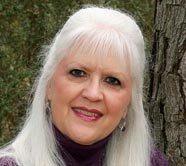 Besides writing for Texas Hill Country, she’s working on two novels and writes short stories. She’s interested in mythology and folklore, serial storytelling, and animals. A native Texan, Gay N. Lewis lives in a small town west of Houston. Two videos she produced — “The Canadian Rockies,” English and Japanese translations, and “Psalms from the Mountains” — sold well in international markets. Graphic skills kept her busy as a portrait photographer, and for over 10 years, she used her imaginative insight in the interior design field. Gay also loves travel, writing, and reading. As a pastor’s wife, she writes Faith Features for various church periodicals. Teaching an adult Bible study every Sunday morning is Gay’s joy, and she is often called upon for speaking engagements. Gay is also a published author. Her current series in the Prism Book Group is about a dyslexic angel who comes to earth to help humans, but Sarah, the angel, is more like Lucy Ricardo with humorous antics and bumbles. Gay blogs and is active on Twitter and Facebook. Jason Weingart began his career as a freelance photographer in the Hill Country in 2013. He graduated from the University of Central Florida with a Bachelor’s Degree in Photography. 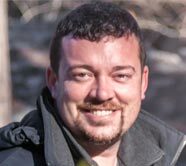 Jason is a storm chaser and co-author of “The Anatomy of Severe Weather.” His work is used by media and educational outlets around the world. He teaches photographic workshops in Texas on subjects such as weather, the night sky, bluebonnets, and urban exploration. You can learn more about Jason and his work at www.jasonrweingart.com. Jenny Webster Jurica is a born and bred Texan who grew up in Edna, Texas, did a brief stint in Corpus Christi, and a not-so-brief stint in Houston. She now calls the Texas Hill Country home where she lives with her husband, two children, and houseful of beloved, spoiled rotten pets. 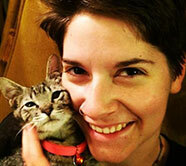 Jenny is a freelance writer who has written for several newspapers and on many corners of the Internet. Jenny loves all animals, some humans and considers punctuality to be her superpower. When she’s not at home writing, she’s walking her rescued (slightly neurotic) Weimaraner on her neighborhood hiking trails or exploring all that the Texas Hill Country has to offer with her family. John Spaulding traveled from Illinois to Texas during the sizzling summer of 1980. He married a fifth generation Texan and decided that Texas was as close to heaven as it gets. Currently a college administrator in Dallas, he has traveled the back roads of Texas for business and pleasure, befriending and interviewing the “teachers, preachers, ranchers and recluses” of the state. In addition to exploring what Texas has to offer, he also sings in the barbershop quartet style of music, enjoying any song that’s performed a capella. You can visit him at texastripwriter.com. MarLee Berry grew up in the Texas Panhandle, and after a taking a couple of pit stops in Oklahoma and Florida, finally found her home in the Hill Country. A graduate of Texas Tech University, she combined her love for writing and her passion for the agricultural industry with a degree in Agricultural Communications. In 2014 she married a former firefighter turned preacher man from California and set off on a whirlwind adventure. Between 2014 and 2016 her family moved four times and welcomed a handsome baby boy. Currently, she resides in Burnet, the Bluebonnet Capital of Texas, and divides her time between chasing an ornery toddler, helping her husband with his youth ministry, and keeping the hair from their Great Pyrenees dog, Sam, from overtaking their home. In between all the crazy moments that encompass her life, she likes to enjoy a good book or express herself through the written word. Max McNabb is Managing Editor of Texas Hill Country. 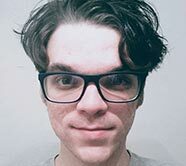 Max is a writer and editor from Lubbock, Texas. His family has farmed cotton on the South Plains for generations. As a journalist for Lubbock Metro Leader, Max interviewed everyone from acclaimed musicians to former presidential candidates. 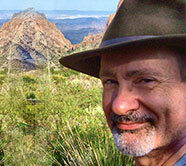 His articles have appeared in a variety of print and online publications, including West Texas TravelHost. 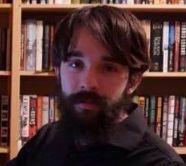 Currently, he’s finishing work on a historical novel and in the market for a literary agent. His interests include Southern literature, history, and the American crime novel. Paul Fronczek is presently writing a series of four historical fiction novels based on his mother’s family. His first novel, “LaRose,” begins in the year 1588 during the aftermath of France’s religious wars, then continues to New France in 1606. It’s soon to be published. The other four novels chronicle the fur trade and exploration of Canada, the immigration to America by canoe, the California Gold Rush, and the Roaring Twenties. He is also a freelance writer and a published author of short stories, newspaper articles, and technical newsletters. Paul is an active member of the San Gabriel Writers League, Writers League of Texas, and BACA Writing Group. Paul is a retired international executive, entrepreneur, college administrator, adjunct professor, and has worked in a variety of other occupations – too many to count. He is a graduate of the University of Tampa, American Graduate School of International Management, along with advanced studies at Texas A&M University. He is married to Angie and has two children from a previous marriage. Robert Deming landed in Texas in high school, but as an Air Force brat, and later as an Air Force pilot, he lived in many places around the world. He solidified his Texan status by graduating from Big Spring High School and Texas Tech University. He lives in Fredericksburg, where his is a financial advisor and a novelist. 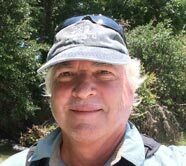 Robert is active in community affairs, an avid hiker, and frequent kayaker of Texas rivers. 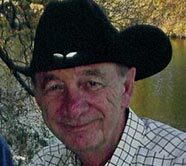 He is the author of four novels, three of them mysteries starring a Texas Park Police Officer. After 24 years in Fredericksburg, he is not yet considered a local,but definitely has the inside scoop on the town. Sarah Schmidt -aka- the Honky Tonk Foodie, was reared in small-town South Texas to a blaring Willie Nelson record, a tortilla in one hand and an eye on the horizon. 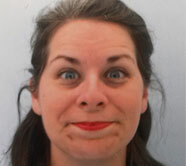 Though cemented as a multi-generational Texan, temporary insanity lead her to Connecticut College, where she obtained a B.A. in English. She has traveled around the world aiming to talk to strangers and taste things she cannot pronounce. Currently residing in the bushes near Boerne with an outdoorsy husband and a cat that’s hawk bait, Honky Tonk Foodie thoroughly enjoys river sitting, star gazing and wandering road trips. Skyler lives in Lubbock, Texas. He is a journalist, game historian, and novelist. When he’s not prepping for a weekly session of Dungeons & Dragons or researching medieval history, he spends his time writing short stories alongside his wife. Sonia Ramirez was born and raised in Houston, Texas but she loves visiting the Hill Country and spending time with family there when she can. She holds a B.A. 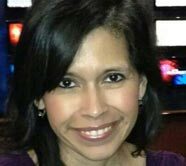 in Journalism from the University of Houston and has worked in all areas of media from print, television and radio. Her greatest joy is writing and had her first article published when she was 19. In her career she has had the pleasure to set up events with such folks as Broadcast Journalist and Author-John Quiñones, Actress and Philanthropist-Eva Longoria, and Congressman Joaquin Castro. She enjoys traveling with her daughter and taking photos as a hobby and hopes to continue writing stories that touch people’s hearts. Her long time goal is to become a full time writer and inspire others to believe that with God all things are possible and dreams can become the doors that open a world of amazing beauty waiting to bless us. Spring Sault is the Senior Writer for Texas Hill Country and Editor-in-Chief of her own publication Ranch & Reserve Magazine. She has strong interests in all things country and western and coupled with her own Mohawk lineage, that makes her the perfect contradiction (cowboys…Indians…). She grew up in small-town, northern Ontario, Canada and presently hails from a First Nation territory in southern Ontario, where she has lived for approximately 25 years. Her favorite topics consist of wineries (anything wine-related, really), real country music and the artists that play it, and travel/tourism in the North American west.